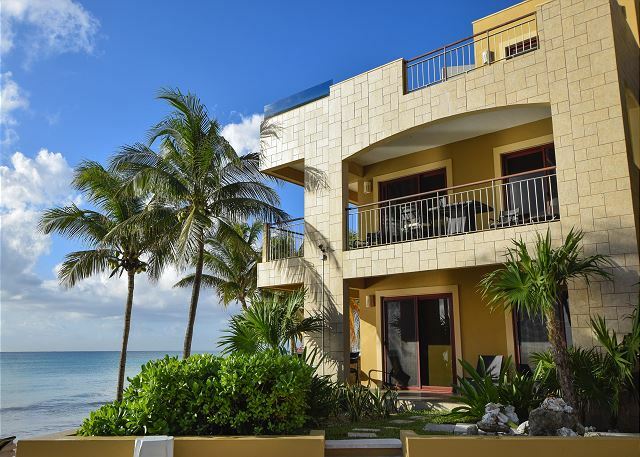 This phenomenal 2-level vacation rental has it all—central beachfront location with 3 spacious bedrooms & 3 bathrooms all beautifully designed & decorated! 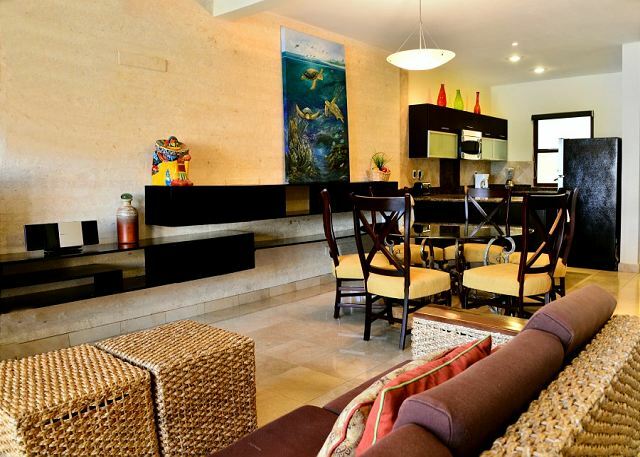 Perfect for the family or large parties travelling together! 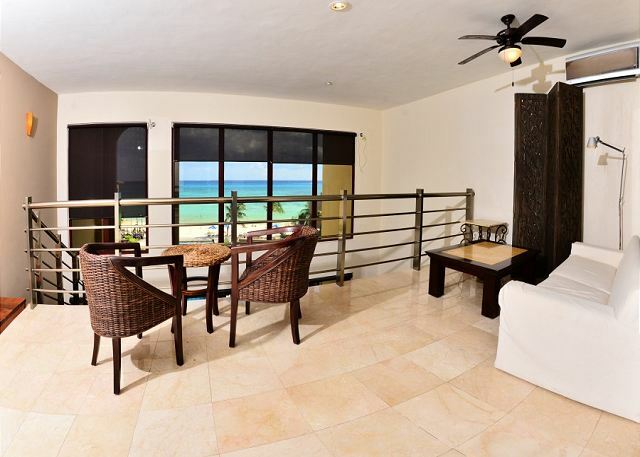 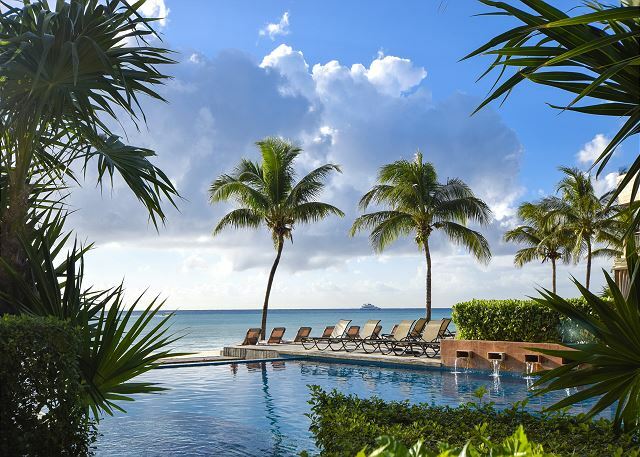 Stunning Caribbean Sea views from the moment you walk in the door. 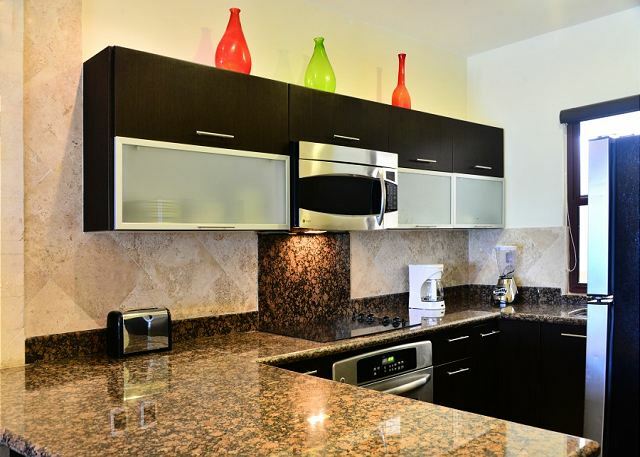 Modern & fully-equipped kitchen w granite countertops & all appliances. 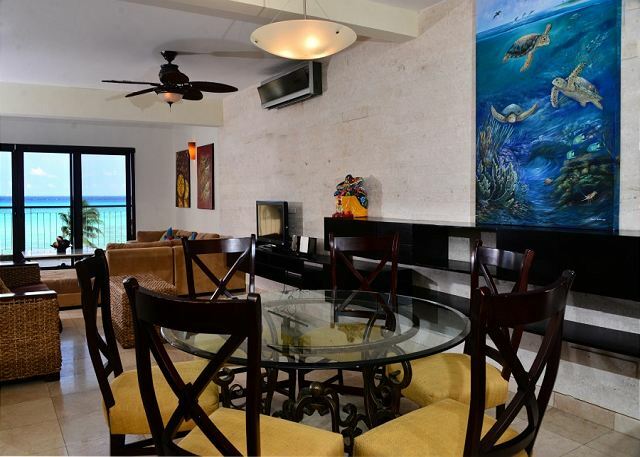 Enjoy magnificent vistas of the water from the dining room & living area. 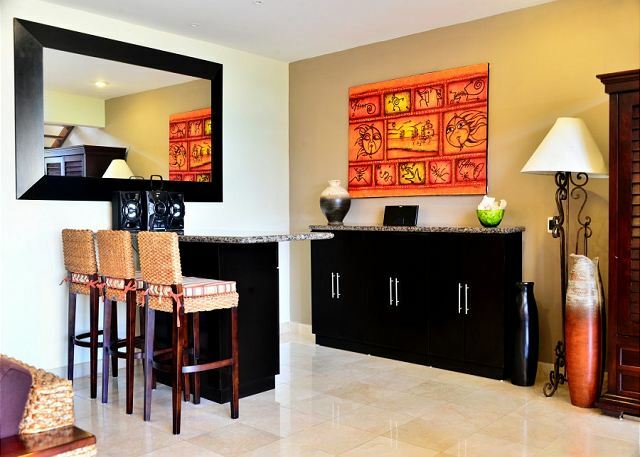 This condo boasts an incredible separate bar area off the living room with granite-topped cupboards, 3 barstools, and a massive SONY sound system! 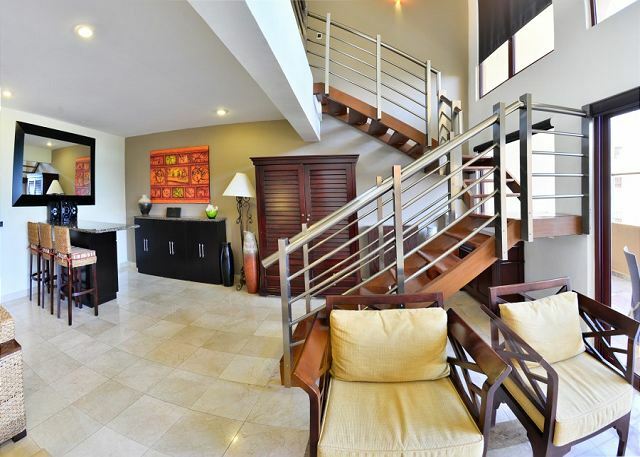 Enjoy sun-tanning on your private terrace while pleasant sea breezes waft in, or lounge in the roomy & airy upstairs loft area. 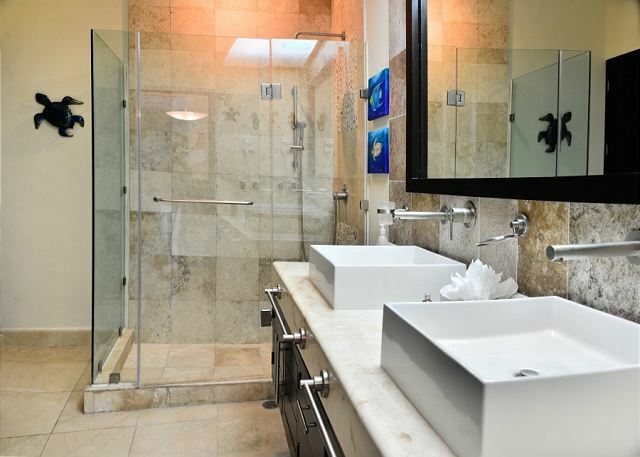 All 3 bedrooms include adjoining bathroom w rain shower. 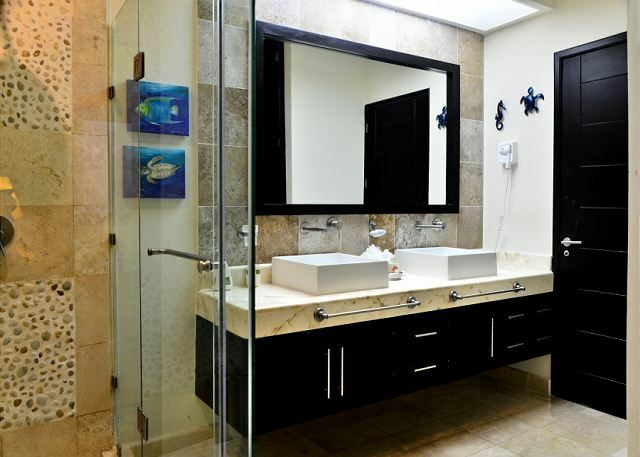 Top level loft bedrooms afford magnificent views of the sea, his/hers walk-in closet space; with Master ensuite featuring full jetted bathtub. 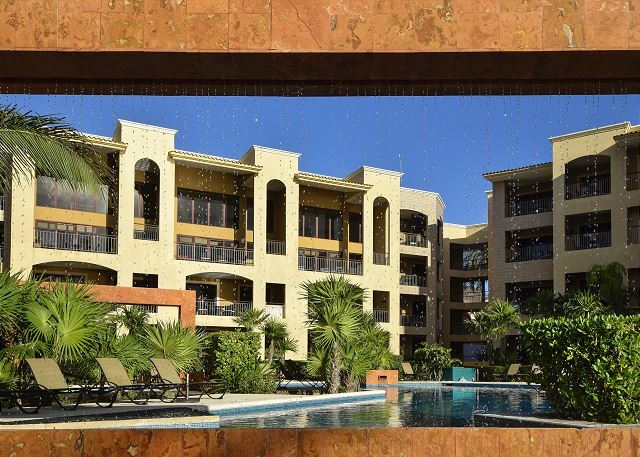 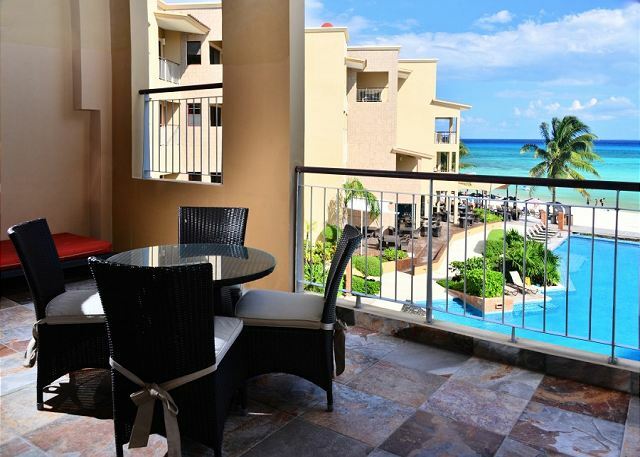 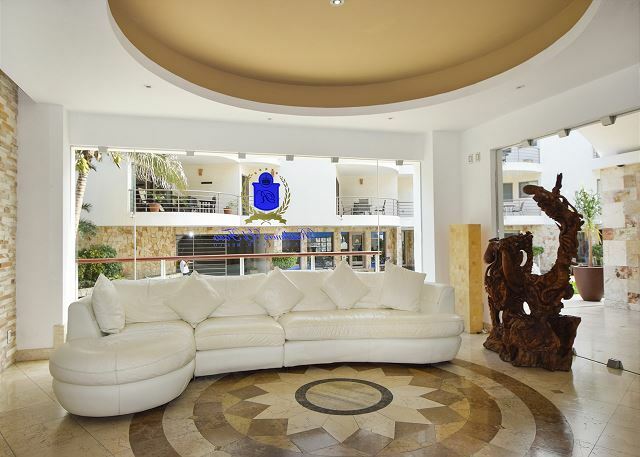 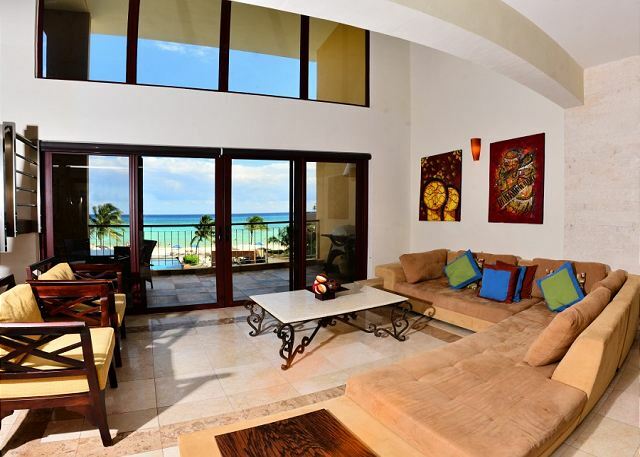 This condo is the jewel in the crown of the El Faro complex. 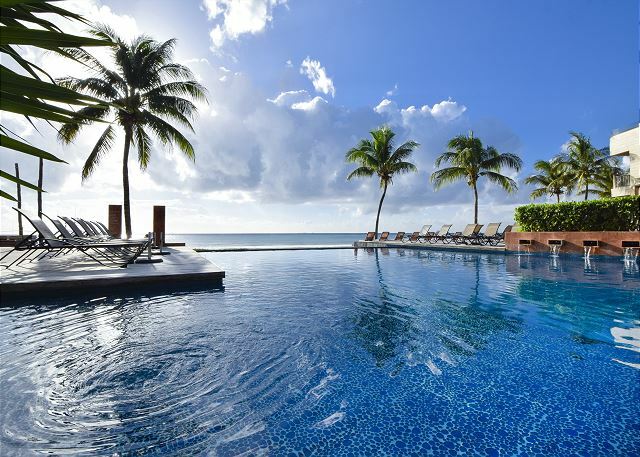 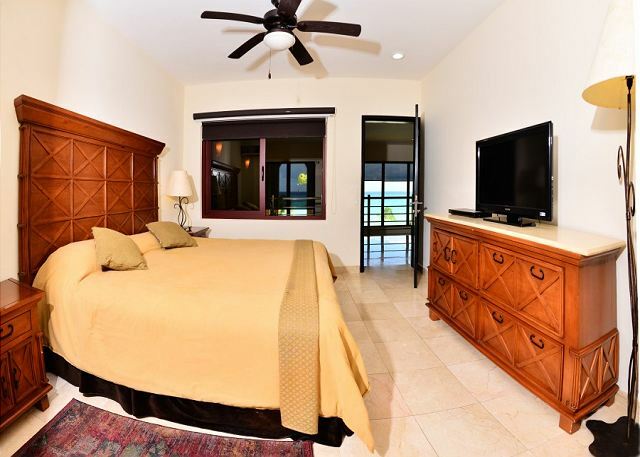 On-site amenities include infinity pool, massage therapy, fine dining, common area Wi-Fi & underground parking (Extra Parking Fee - 15 USD per night). 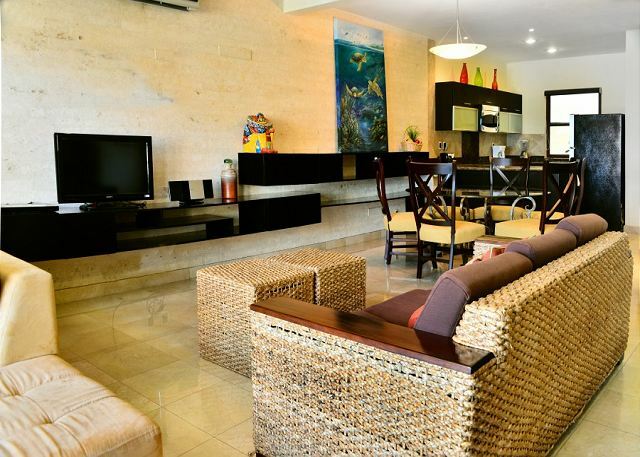 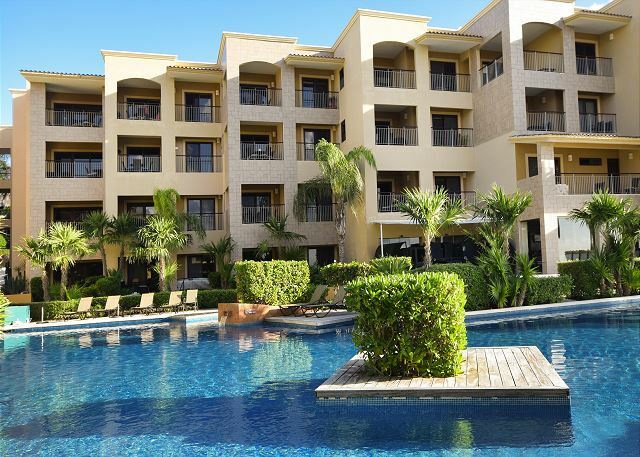 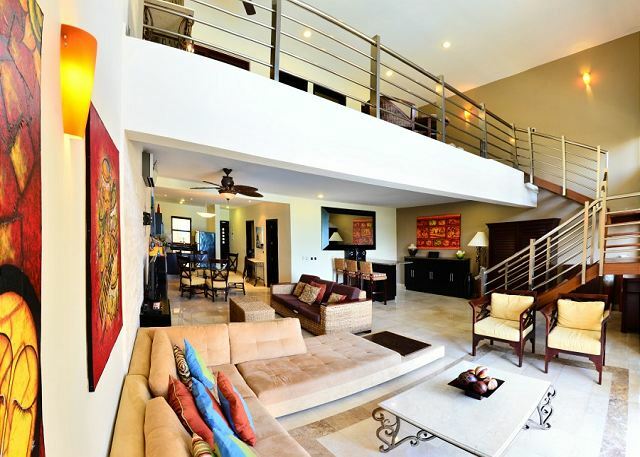 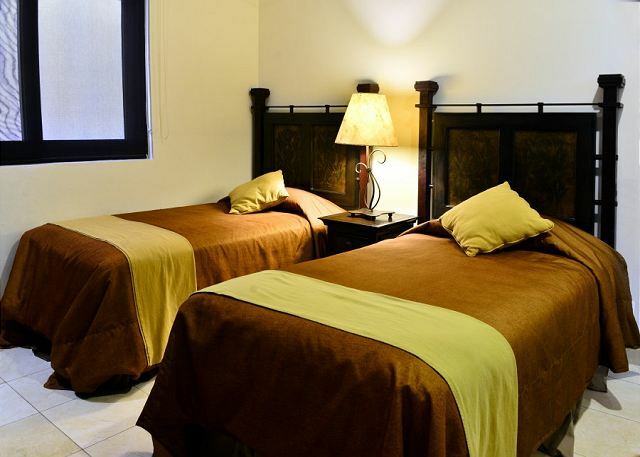 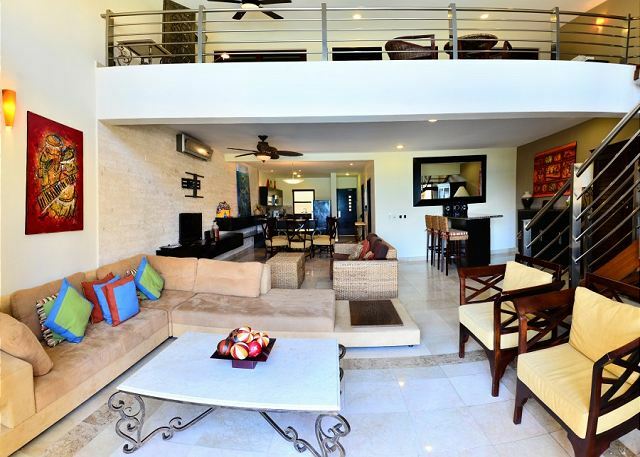 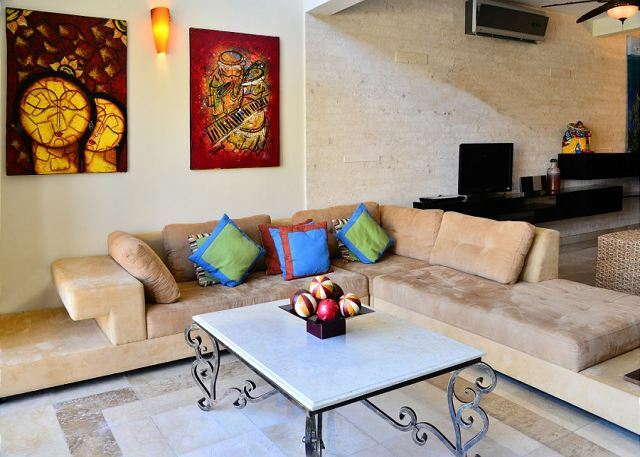 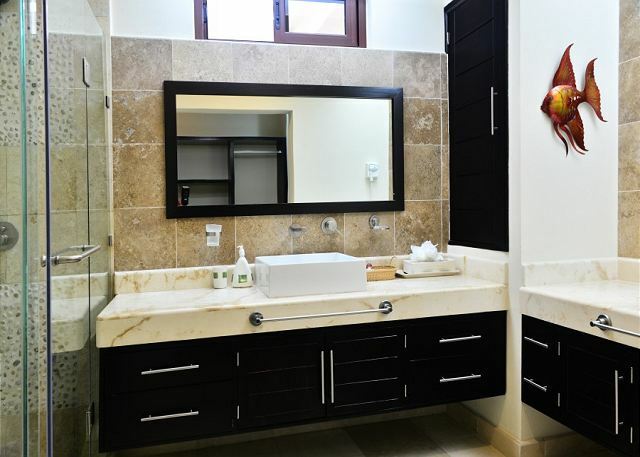 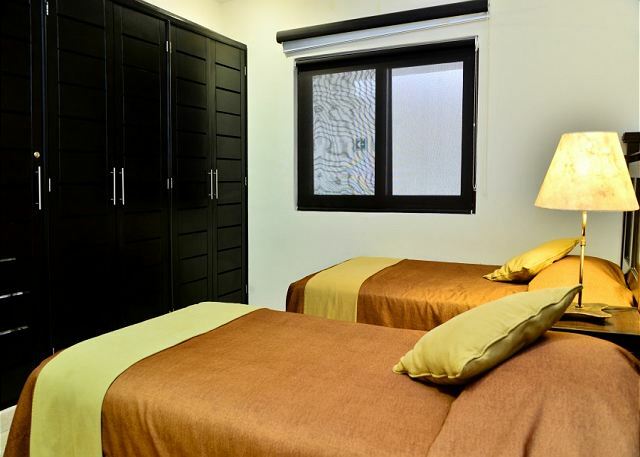 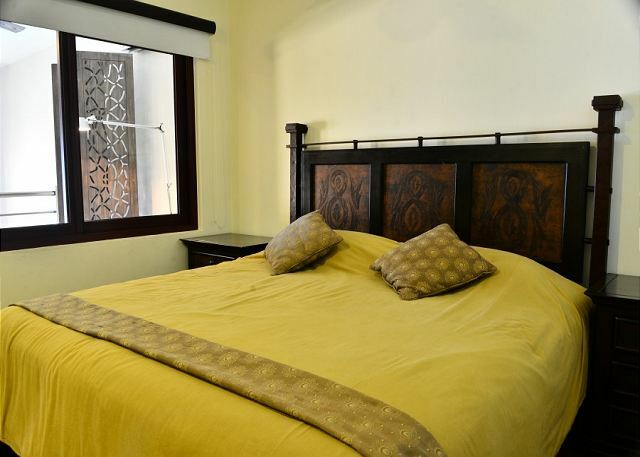 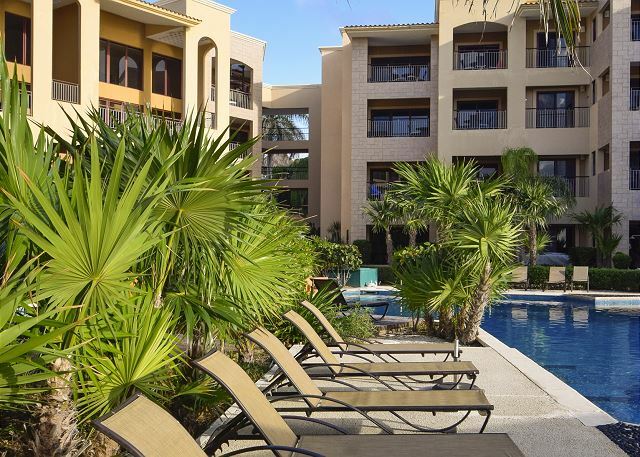 Within easy walking distance of all your favorite shops & restaurants in Playa del Carmen!